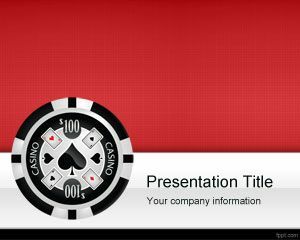 Free Poker PowerPoint Template is a free template for Poker players in PowerPoint that you can use at Casino or Poker championship. 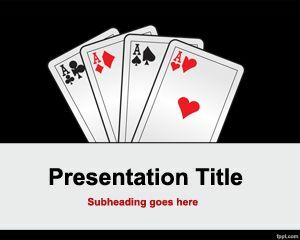 The poker design for PowerPoint has high quality Poker card design over a poker background, suitable for gambling presentations in PowerPoint but also for Poker PPT templates. 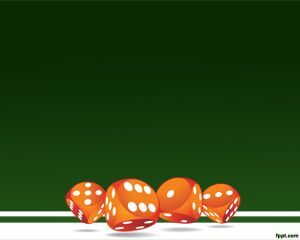 You can download free Poker backgrounds and other poker templates for Microsoft PowerPoint presentations to prepare awesome games and tutorials on how to play Poker. 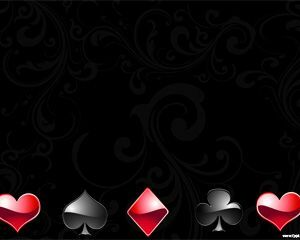 This free poker background has some nice Poker shapes over a solid black background color including the Poker card illustrations like the red heart, clover and rhombus. 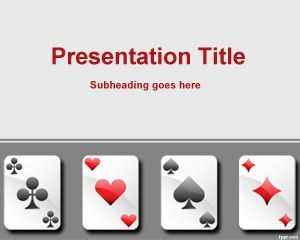 Alternatively you can download other free casino PowerPoint templates including other games and backgrounds like the blackjack PowerPoint templates or free gambling PowerPoint backgrounds. wery good and very betiefull thanks my frend..